“To finally have a release date and get some feedback is gonna be awesome,” Jacob Bryant tells me over the phone, yawning before he can finish his sentence. Of course, he apologizes, but I don’t blame him and we both laugh about it. Having spent most of 2018 out on the road touring, it’s no wonder the dedicated singer-songwriter is so exhausted. Aside from a grueling touring schedule, Bryant also spent the last year and a half working on his first full-length album, which is the reason for our phone interview just a week before Christmas. Those that follow the always enthusiastic performer know that he’s consistently described his sound as country done his way, a statement that, although backed by his previous EPs, is truly unquestionable on Practice What I Preach, which he finally gets to release on February 8th. Appropriately titled, Practice What I Preach perfectly captures the essence of Bryant’s character, both in and out of the recording studio, and is the most accurate representation of who the Georgia native is as an artist, leaving no room for questions. Heavy on the guitars and chock full of the kind of authenticity that’s only found in true country music, the 12 track project balances the traditionalism that Bryant was raised on with the southern rock he thrives on, while also allowing his softer, more sensitive side to shine when fitting. 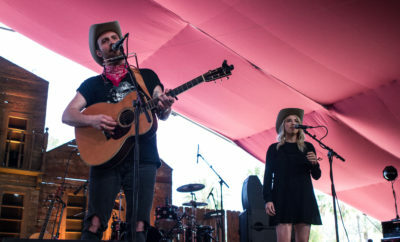 “Jacob is as authentic as the small town in Georgia he comes from, and that shines through on a stage, in a writing room, and by just shaking his hand,” songwriter Wyatt McCubbin, who has two songs featured on the project, tells me in an email exchange. What we get on Practice What I Preach is worthwhile songwriting that knows when and when not to take itself too seriously. 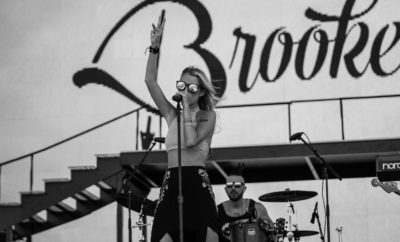 Stories about life, love and loss without the stereotypical cliches currently heard on country radio are even more compelling when delivered by Bryant’s rich, southern drawl and explosive vocals. Though it’s easy and understandable to assume he wrote all 12 songs, he actually only co-wrote four tracks on the album, choosing instead to spotlight the talents of his equally gifted songwriter buddies for the rest. “I just kind of feel like I try to write what I feel at that time, and if a song comes along that I didn’t particularly write but it’s something that I can relate with at that time, that’s kind of how I choose them,” Bryant explains to me. Bryant’s personal connection to every song on Practice What I Preach is unique enough that each track bares its own significance and individuality while still maintaining an overall cohesiveness. Tying this album together is the singer’s immeasurable depth and passion that’s woven into each song like the thread of a well knit blanket. Whether it’s the blues rock vibe and foot-stomping percussion of a rip-roaring number like “More Than One Year” or the somber styling of tracks like “Bring You Back” and “Hot Mess,” with their difficult subject matter, the versatility of Bryant’s full-length release can be equally appreciated no matter where your country music preferences lie. The heart of Practice What I Preach lies in what is also Bryant’s greatest strength as an artist. His ability to write and record songs with considerable substance and longevity that are as personal to him as they are relatable to his fans is exceptional, and will no doubt keep him relevant long after the current fads in the genre today have come and gone. 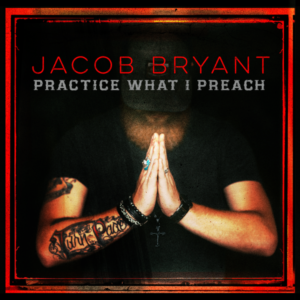 In fact, within the range of various subject matter the upcoming release covers, two standout examples of the exemplary storytelling highlighted on this album are found on “Hot Mess,” written by Bridgett Tatum and Kimberly Kelly, and the title track, “Practice What I Preach,” co-written by Bryant and Jami Grooms. Songwriter Kim Kelly was also happy to be able to contribute to the project, and proud to be a part of something that had the potential to touch someone on a personal note the way “Hot Mess” struck a chord with Bryant because of his own mother and her struggles while raising him and his siblings. “I felt like it was a good time for someone to say thank you to all those mothers out there that are less fortunate, but they give their all to their kids and their family, and somehow make it happen,” Bryant tells me. 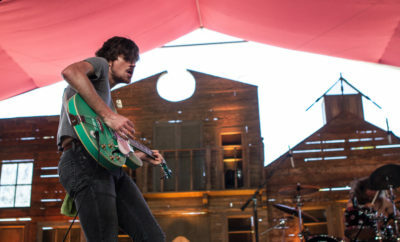 That gritty, southern howl we hear from Bryant on “Pain Pain” is also heard on the track that follows, “Pour Whiskey on My Grave,” written by Jami Grooms and Marty Barber. As Bryant tells me, the moment he heard the song while on stage at a writer’s round with Grooms, he knew he had to record it. “He always overly praises me from the stage for “Pour Whiskey on My Grave” and it always means the world to me,” Grooms admits to me. With some help from his co-writers Drew Baldridge, Taylor Phillips, and Chris Rogers, this rugged country singer taps into his romantic side for what is undeniably the sweetest moment on the album. While the realism of “Best Part of Me is You” resonates loudly in lines like, “I can’t count the times I’ve counted on you,” and “Got so much baggage I can’t even close my trunk,” it’s Bryant’s vivid imagery and comparative language within the chorus that really drives home the message that his fiancé has been both his lifeline and saving grace. “I think it’s one of them songs where I feel like every guy has thought those things about their significant other, and every girl wishes that the guy would think that,” Bryant expresses with a chuckle. Aside from the stellar songwriting featured on Practice What I Preach, fans will also hear the new territory the singer explores vocally thanks to Triplett’s push for him to do some serious belting on this album. When it comes right down to it, Jacob Bryant is one of the most talented, hard-working, and driven artists you’ll find in music today, and no matter who you ask – friends, family, band members, his peers or his fans, they’ll all say the same thing. “He’s (Jacob) the real McCoy when it comes to doing what he does. He’s one of the best I’ve seen at being so connected with his fans, and that’s such a huge part of his brand as an artist,” McCubbin emphasizes in his email to me. As Bryant and I wrap up our phone interview we talk about the success he’s had in 2018 and how all of his and his team’s hard work has been paying off. 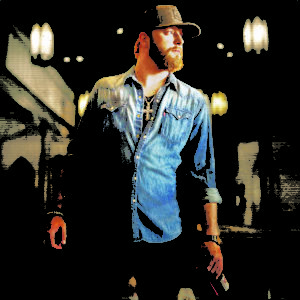 With his songs and music videos hitting streaming and viewing numbers in the millions, and a slew of sold out shows on his touring schedule, and all the hype that’s buzzing around the release of Practice What I Preach on his socials, 2019 is already shaping up to be another huge year for the Georgia native. Don’t be surprised if this is the year that mainstream country finally picks up on all that Jacob Bryant has to offer the genre. “It’s all kinda moving so fast right now that I don’t even have time to think about it a whole lot. I just gotta hold on and do what I do,” he says as I can hear him smile through the phone. Amanda Walsh is a writer who loves to share the stories of the artists she interviews. Each one more unique and fascinating than the next, you never know which artist she’ll be writing about next!